In the quieter Playa de Muro area of Alcudia, a good choice for families looking for a value-for-money self-catering holiday. 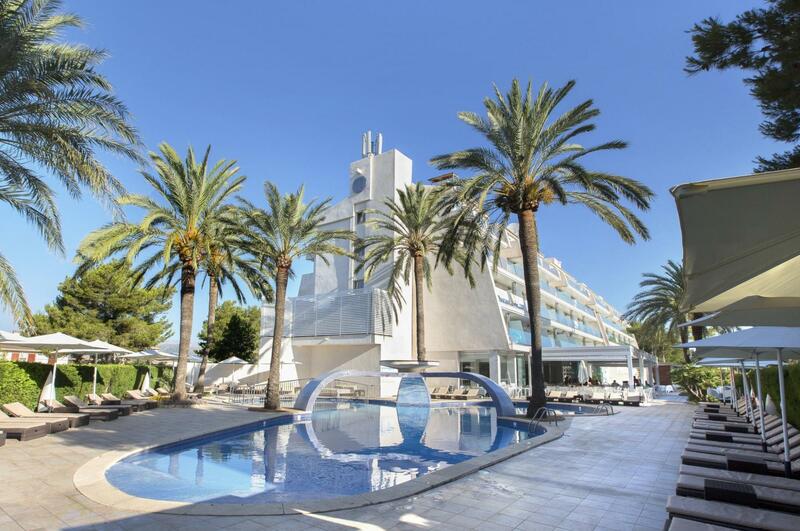 The Rio Mar is well situated just 100 metres from the long sandy beach (across the main road) and close to Alcudia Albufera - the most important nature reserve on the Balearic Islands. The attractive free-form swimming pool is surrounded by sun-terraces, with loungers and palm-trees offering shade. The Rio Mar offers a full programme of activities and entertainment, a children's club and sports facilities including tennis, table tennis, bike hire (ideal for exploring the nature reserve) and archery. The cafeteria/restaurant serves buffet breakfast and evening meal, while snacks are available throughout the day on the terrace adjacent to the bar.